According to Savills's Spotlight on the Alpine Property Market Report, the recovery in the Alpine real estate market, led by the ultra-prime resorts, has spread to the rest of the region with infrastructure investment spurring new development. British buyers are returning as a weak euro poses buying opportunities in France, Austria and Italy. Courchevel 1850 tops the Savills Ultra-Prime Ski Resorts Index with typical prices of €31,340/m² for the best properties. The French resort is followed by the premier Swiss destinations of Gstaad, St Moritz, Zermatt and Verbier at between €26,450 and €31,220 per sqm. In spite of limited price growth, a strong Swiss franc has pushed these markets up the rankings in currency terms. In North America, only Vail is on par with the top European competition at €25,200/m2. Courchevel 1850 and Gstaad continue to lead the Ultra Prime Ski Resort Index, with 92% of buyers purchasing for both personal use and investment. A strong Swiss franc has made Swiss property expensive to foreign buyers, however a weaker euro poses buying opportunities in France, Austria and Italy. Paul Tostevin, associate director, Savills World Research, said, "A home in a top-tier Alpine resort is a key component of global property portfolios for the world's wealthy. 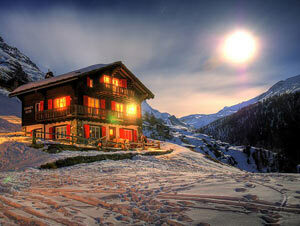 A property in Courchevel 1850, Gstaad or St Moritz complements a city residence in London, Paris or Moscow". Jeremy Rollason, managing director, Alpine Homes, in association with Savills, said, "2015 has been a tale of two currencies for UK buyers in the Alps. The de-peg of the Swiss franc caught markets off guard, but sterling has since recovered and now trades within a 5% range of the pre-January 2015 exchange rate. The weakening euro has helped buyers in euro denominated countries. Currency swings have the effect of either suppressing or stimulating markets through affordability, but the net effect has little influence on property values per se". Buying activity in the Swiss resorts cooled in 2015 with foreign buyers, particularly important to the top end of the market, impacted by the strong Swiss Franc. However, despite limited supply of second homes, investment in infrastructure continues and the cache of Swiss resorts remains. Villars, a year round Swiss resort with high quality international schools, has seen high levels of new supply in recent years and has suffered from poor snowfall. This has had some impact on pricing and, for those who shop around; there are deals to be done. Prime apartments here trade at between €9,000 and €11,000 per sqm. The Austrian Alpine resort market has remained strong on the back of a vibrant local economy, which has generated house price growth nationally of 41% since 2008. The country continues to offer excellent value for money compared to the more established French and Swiss resorts. Committed investment in resort infrastructure and investor appetite means there is still room for upward price movement. Over in France, sales volumes in the ski regions of Haute-Savoie and Savoie have held up better than the rest of the country whilst a weaker euro has opened up investment opportunities for dollar and sterling denominated buyers. 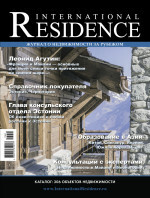 Val d'Isere has seen premium restaurants and boutiques open. Popular with the UK market, there is strong rental potential with yields of circa 3.5% gross achievable for top chalets. The Chamonix Valley continues to see demand led recovery and prices are now at or around the pre-crisis peak of €10,000/m². The report identified five emerging destinations and resorts opening up to an international market. The Balkans, on the edge of the large European market, and already attract British and Russian skiers. Pyeongchang, South Korea, is the 2018 host for the Winter Olympics. International investors have been attracted by special visa investor programmes.